This pretty city in the Veneto region in Northern Italy is probably best known for its Amarone wine and being the setting for Shakespeare’s Romeo and Juliette, and you can visit 14th century residence with a balcony where the dell Capello family, purported to be the inspiration for the Capulet’s lived. But the wine and the home of Juliette pales in comparison to the Arena, a Roman ampitheatre built in the firt century where you can watch an opera performance, the dramatic Castelvecchio Museum, an important military site of the Scaliger dynasty who ruled Verona during the Middle Ages, Ponte Pietra bridge, a picturesque bridge built in 100 BC, and the Gothic style Santa Anastasia church. 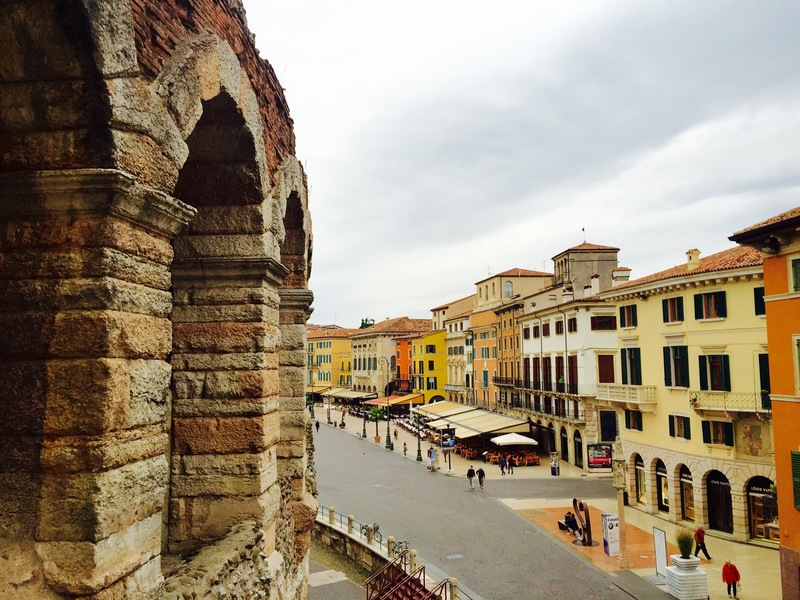 Verona’s shopping streets are a good place to look for affordable and well-made leather shoes. Piazza Erbe, which you’ll reach after you pass the main shopping are and before you get to the main cathedral, is a good place to stop for an espresso and maybe pick up kitschy souvenirs. Cuisine: Polenta, horse and donkey meat are well liked by the locals, along with gnocchi, amarone wine, made from grapes of the region and Tiramisu – the popular dessert of Venetian origin, which seems to show up on most menus here. Like many other cities in Italy, you’ll find plenty of places dishing out lovely pasta dishes, gelatos and panzerotti – a savory pastrie with different fillings. This entry was posted in destination, Europe, Go, Italy, Verona. Bookmark the permalink.